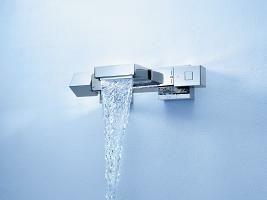 For years, GROHE has been synonymous withthermostats for the bathroom, with over 30 million soldworldwide. 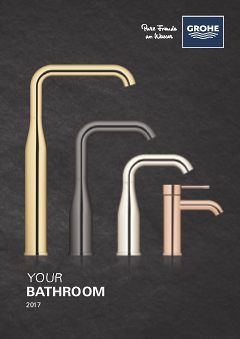 With the launch of this pure Cubist thermostatrange, GROHE offers innovative design combined with thehighest quality standards. 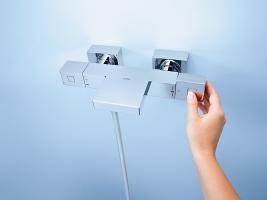 from its Cubist design and itswater-saving options to the smart EasyReach soap tray – thenew Grohtherm Cube thermostats and shower systems offerfull enjoyment to the last detail, perfectly matching severalGROHE cubic faucet and shower designs. 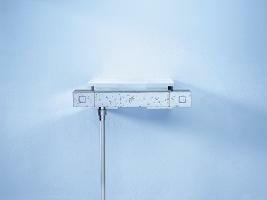 Square enjoyment – Go for the Best! 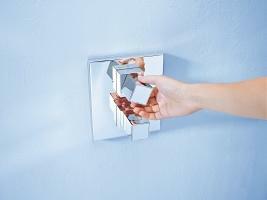 For years, GROHE has been synonymous with thermostats for the bathroom, with over 30 million sold world wide. 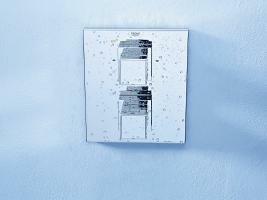 With the launch of this new thermostatic range, GROHE offers innovative design combined with the highest quality standards. 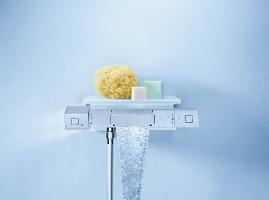 From its cubist design and its water-saving options to the smart EasyReach™ soap tray - the new Grohtherm Cube thermostats and shower systems offer full enjoyment to the last cube detail. 50% economy, 100% enjoyment. 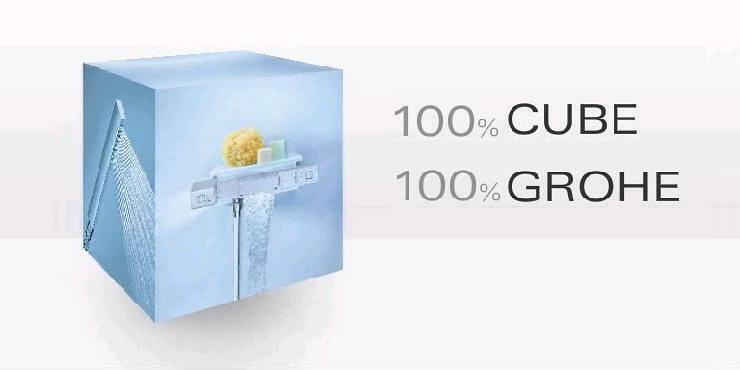 With eco-options integrated into all Grohtherm Cube products, you can always enjoy a refreshing shower and a relaxing bath with just the right amount of water. 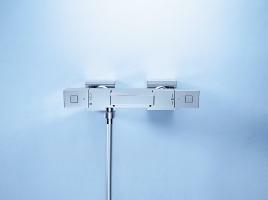 With GROHE Aquadimmer Eco, it‘s easy to switch between hand shower and head shower or bath spout, while the integrated override EcoButton makes saving water effortless.The beautiful XL WaterFall fills your bath much faster, so you can enjoy a relaxing bath all the sooner. 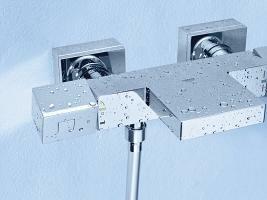 A water-saving function for bath and shower. 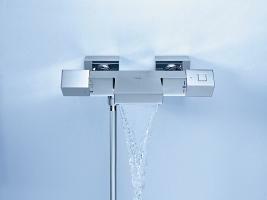 For a perfect water temperature at all times. 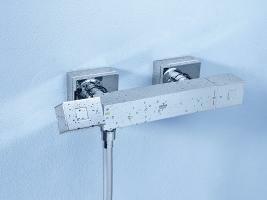 Wide bath spout with XL-size silent water flow. Easily accessible storage by optional shelf. Easy to clean.